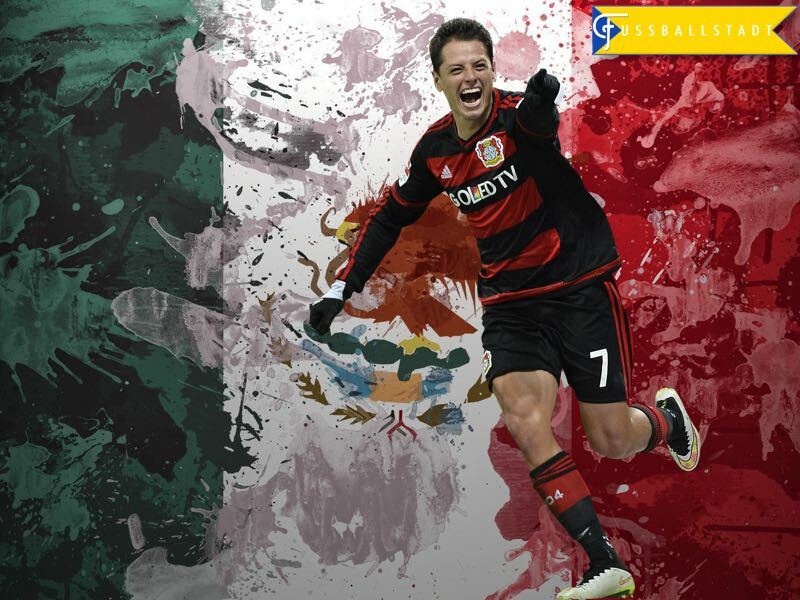 Javier Hernández, better known as Chicharito, is rumoured to be on the chopping block at Bayer Leverkusen. A report by Bild suggested that Bayer would be willing to sell the Mexican forward, if a club would be willing to offer between €30 and €40 million. 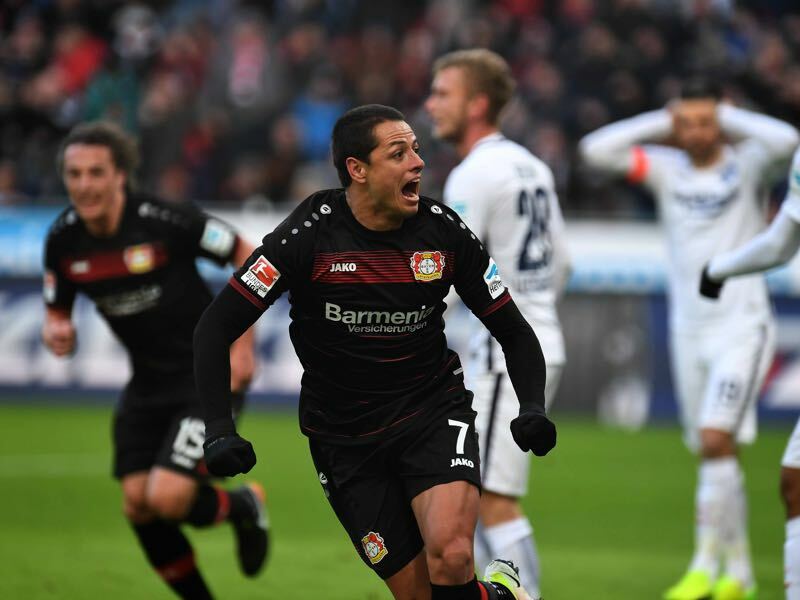 Chicharito’s first half of the season was one to forget; the Mexican scored five goals in 15 games this season but, at the same time, he has failed to score since Leverkusen’s 2-0 victory over Borussia Dortmund on October 1. The Mexican forward has been without a goal in 1,100 minutes, and has, in some ways, become the face for Bayer Leverkusen’s disappointing first half of the season. Although hard working, the little pea was extremely ineffective for Leverkusen in the second half of the Hinrunde. A horrendous penalty in the 88th minute against SC Freiburg (the game was tied at 1-1) on December 4, also earned him major criticism from his teammates. Questions appeared as to whether Chicharito was still motivated enough to help Bayer Leverkusen this season. It is, therefore, no surprise that the report also suggests that Bayer Leverkusen sign RB Leipzig’s 21-year-old German forward, Davie Selke, to replace the Mexican. This summer, Selke had a stellar tournament at the Olympics, where he scored two times in five games, but failed to nail down a starting position at Leipzig in the Hinrunde. The value of the Mexican forward also extends far beyond the pitch. Javier Hernández is the most popular football player in Mexico, where he is treated like a pop star. In fact, Chicharito is seen as a national treasure and, as a result, many Mexicans have tuned into the Bundesliga to follow the progress of the country’s biggest star. For example, in January 2016, the Futbolgrad Network travelled to Florida to attend the 2016 Florida Cup. Alongside several South American teams, and Shakhtar Donetsk, two Bundesliga teams, Bayer Leverkusen and FC Schalke 04, also attended the tournament. Chicharito was easily the biggest star at the tournament, which meant that Bayer Leverkusen received far more attention than any of the other clubs present at the Florida Cup. Indeed, one journalist told me that Chicharito will be key if the Bundesliga wants to conquer the North American market. The same journalist told me that Chicharito’s popularity is so immense in Mexico that, if you want social media traffic to your page, all you need to do is to post something, and hash tag Chicharito—we will find out if this is true as soon as we post this article. It is definitely true that the Mexican superstar has an enormous pull on Mexican football fans—he has 7.37 million followers on Twitter, and 3.7 million followers on Instagram. It has always been understood that Bayer Leverkusen could only keep the Mexican by playing regularly in the UEFA Champions League. That goal is almost outside of the club’s reach, as Bayer are eight points behind fourth placed Eintracht Frankfurt. Club officials have been reluctant to change head coach Roger Schmidt and, instead, might go with a strategy in which they are going to change key players that better fit Schmidt’s system. But Bayer have already done this last summer when they sold World Cup winner Christoph Kramer to Borussia Mönchengladbach, because he did not fit Schmidt’s football philosophy. Now it appears that they are about to put the coach ahead of a player for the second time. But given everything that Chicharito brings to the table, both on and off the field, selling the Mexican, even for €30 to €40 million, would be a major mistake. Lukas Podolski – Pay day in Beijing?